Traveliztera: Randomly Entertaining! 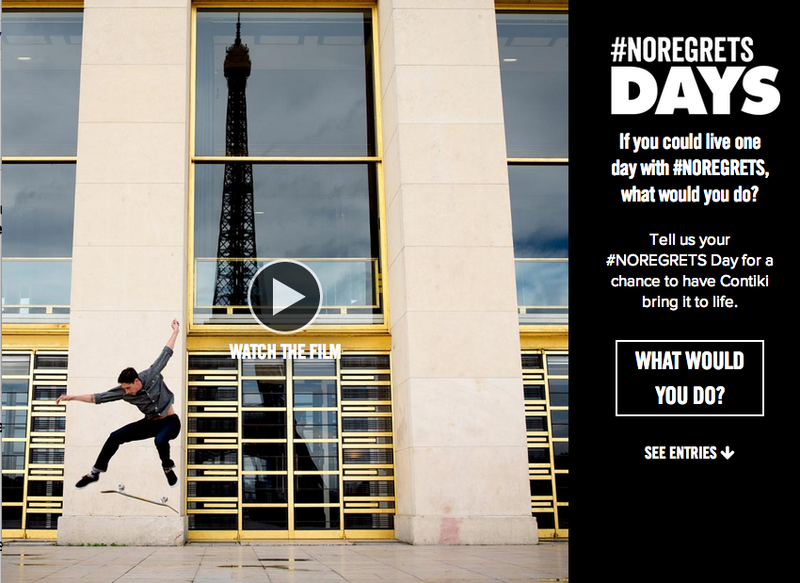 : Contiki Travel #NOREGRETS Contest - Fulfill Your Moment! Contiki Travel #NOREGRETS Contest - Fulfill Your Moment! When traveling, you know you want to make the most out of your trip. This means, you get to experience something that is out of the usual standardised tours. You want local expertise when you fix your tour with an agency. You want freedom alongside guidance. And of course, you want value for your money. Contiki "gives you more"-- more activities, sights, authentic local food, and time. Travel to over 46 countries, between three days to six weeks, depending on your choice of holiday length. You have the freedom to choose. You want authentic experience, and that is what Contiki is delivering to every traveler between 18-35s. One can go solo, or one can join a group of "tour mates" who share the same interests with you. To help out with your journey, Contiki will give you an expert tour crew, who will be taking care of everything you need assistance with. They have 400 Tour Managers, On-site Teams, Drivers, and On-road Cooks! Want to experience the Contiki magic? YOU ONLY HAVE ONE LIFE, ONE SHOT, SO MAKE IT COUNT #NOREGRETS." Get a chance to have your #NOREGRETS moment brought to life by Contiki + a space on a Contiki trip up to 12 days at the closest location where Contiki operates in to the location of the fulfillment of the #NOREGRETS moment. 28th October 09:00AM to 9th December 11:59PM. Anyone in the world (except those from Quebec, Canada) between 18 to 35 years old. For more information about the terms and conditions of the contest, click here. As a long-time traveler, I think it's good to try out new travel experiences. Contiki brings something authentic and different, and I am inviting my friends to come travel with me, and enjoy with @Contiki!!! Ang cool ng name contiki!